Home > News > 50 Days to Go: Gold medal designs are revealed! 50 Days to Go: Gold medal designs are revealed! With just 50 days to go until the World Championships kick off in Manchester, organisers have revealed an exclusive first look at the Gold medal design athletes will each be competing for. The unique, triangle shaped design will be a first for the World Championships with the shape featuring predominantly throughout this year’s event. Drawing inspiration from how Taekwondo athletes’ bodies make triangular shapes when kicking, the triangle is being used at the event as a representation of Taekwondo in it’s purest form.. 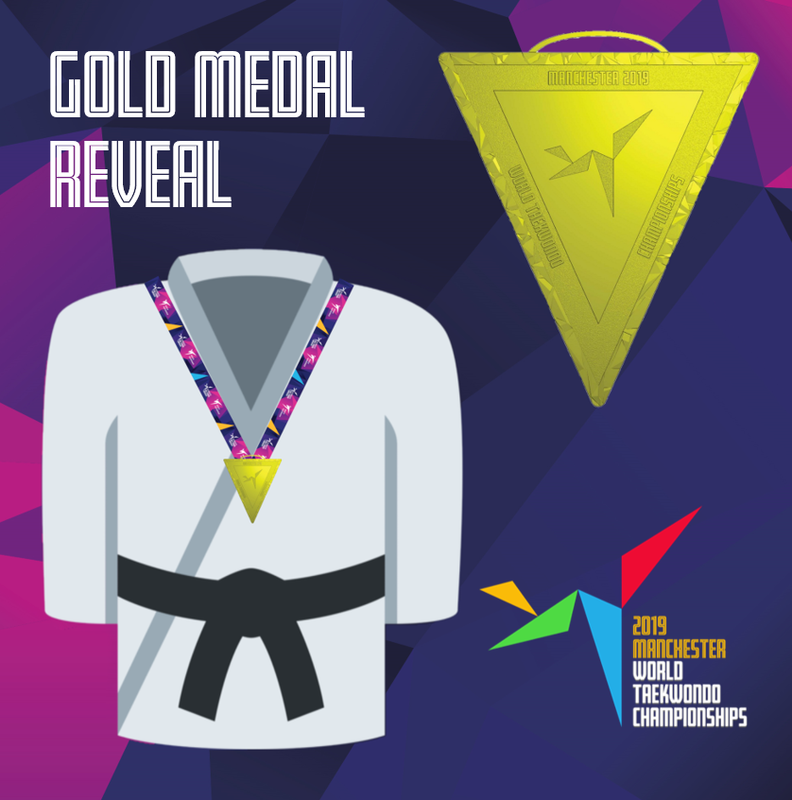 The medals are being set as three overlaid triangles which creates depth and depicts stages that an athlete must go through in order to reach their central goal – being a World Taekwondo Champion. All medals will feature this shape and will be given to the athletes across the course of the 5-day competition – which starts in just 50 days time! Tickets can still be purchased for the event which is being held at the Manchester Arena from 15th to the 19th May and is the first time the UK has held a World Championships. Let us know what you think of the design on social media using #kickingforglory.